Hickory Branch - House Is Located In A Cul-De-Sac, And Has A Private Backyard For Family Outdoor Activities. This Will Not Last, Hurry!!!!!! ! MLS#8536824. Georgia Dream Homes Realty. This New Construction Home Wont Last Long! MLS#8535052. Keller Williams Rlty-Atl.North. Home Comes With A 30-Day Satisfaction Guarantee. Terms And Conditions Apply. MLS#6511361. Opendoor Brokerage, Llc. Lot Rental Is $545 Per Month Includes Water And Sewer As Well As Access To Pool And Clubhouse. 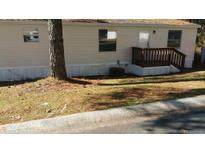 MLS#8532477. Integrity Realty Group. This Home Is A Must See! MLS#8531753. Great Life Realty. Bentwater - Partial Finished Basement, Lots Of Storage And Stubbed For Bath; Seperate Entrance, Could Be In-Law/Teen Suite. Multiple Neighborhood Pools/Tennis. MLS#8531579. Maximum One Grt. Atl. Realtors. 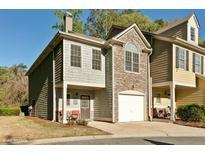 North Springs - All 3 Levels Have Private Decks That Overlook The Large Fenced In Backyard. MLS#8531534. Atlanta Communities. Mars Hill Acres - *Relax & Entertain On Large Deck On Front Of Home Under Mature Oak Trees*Back Of Home Offers Covered Screened Porch/Deck & Fenced Yard*Easy Access To Shopping, Dining, Entertainments, Lake Allatoona & So Much More * Your Buyer Will Not Be Disappointed! 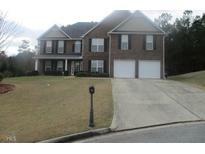 MLS#8530770. Atlanta Communities. Home Available For Showings Monday Thru Friday 9 Am To 4:00 Pm Appointment Only On Saturday And Sunday . 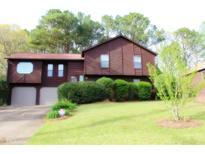 Please Call Agent 404 933-1113 MLS#8530423. Maximum One Community Realty. Rose Arbor - Enjoy Easy Living As Monthly Dues Covers Exterior Maintenance And Landscaping. MLS#6507800. Harry Norman Realtors. Kingswood Shores - Located In Private Swimming Cove, W/Option To Apply With Corp To Move Dock Directly Behind Home. MLS#8527771. Atlanta Communities. Hickory Station - Georges Home 3 Bedroom And 2.5 Bathroom Completely Renovated, Large Kitchen With Beautiful Granite Counter Top,Island,Newer Appliances,Breakfast Area,Separated Dining Room, Nice Size Living Room With Fireplace,Large Master Bedroom With Walking Closet,Fenced Back Yard,Also Second Full Kitchen Of The Garage, Great Area,Great Schools, And Close To Parks And Freeway. MLS#8520451. Keller Williams Realty. Relax On Your Front Porch Or Covered Back Patio. Enjoy This Great Family Community! MLS#6122578. 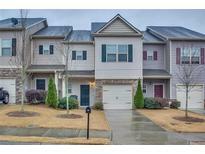 Georgia Platinum Realty, Llc..
Low Hoa Fees In A Quiet Established Neighborhood. MLS#6123980. Weichert Realtors Prestige Partners. Home Comes With A 30-Day Satisfaction Guarantee. Terms And Conditions Apply. MLS#6119210. Opendoor Brokerage, Llc. 600 Rosehip Lane, Said Property Is An Income Producing Quad Plex Located In Acworth, Ga. All Brick Construction, Fully Leased Each Unit Is 2 Bed 2 Bath And Two Stories. MLS#6119551. Creviston Realty, Inc..
Current Inventory Starts At $391,900. Come Tour Today! MLS#6117101. Equivest Properties , Llc.. The Lease Is $585.00 Per Month. MLS#8505323. High Caliber Realty. Links At Brookstone - Wired With Cat 5E And Fiber. MLS#8502928. Atlanta Communities. 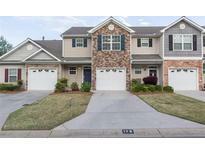 Move-In Ready, This Home Is Accessible To Ga-92/I-575 And I-75. Home Is Vacant ...Go Show.. MLS#6108663. Key Real Estate Solutions, Inc..
Move In Ready 3/2 With Tones Of Charm. MLS#8495132. Keller Williams Realty. Brookstone - The Heart Of The Home, The Kitchen, Is Detailed With Rich And Gorgeous Designs. MLS#8487096. Rcm National Realty Llc. Home Sits On .40 Acre Lot And Is Being Sold With A Separate .50 Acre Lot For A Total Of .90 Acres At $175000 Can Also Be Sold With A Third Wooded Building Lot For $205,000 The Possiblities Are Limitless. Must See. MLS#8484611. Xlt Realty, Llc. Woodstream - Both Overlooking A Serene And Private Wooded Vie MLS#8481631. Rcm National Realty Llc. New Energy Saving Led Lights Throughout. A Must See Home! MLS#8459592. Atlanta Communities.